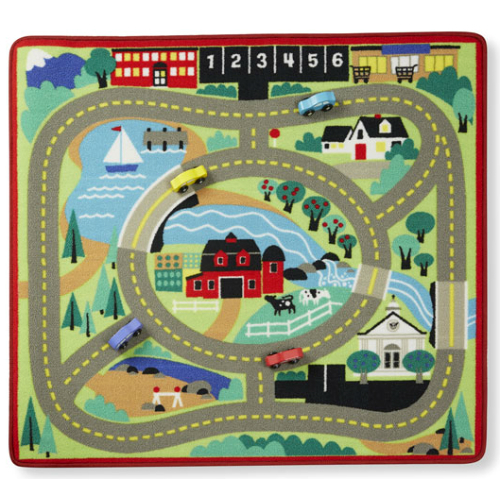 This colorful Round The Town Road Rug contains a whole world of looping streets and lanes. At its center, there's a farm surrounded by a school, parking lot, grocery store and lake. 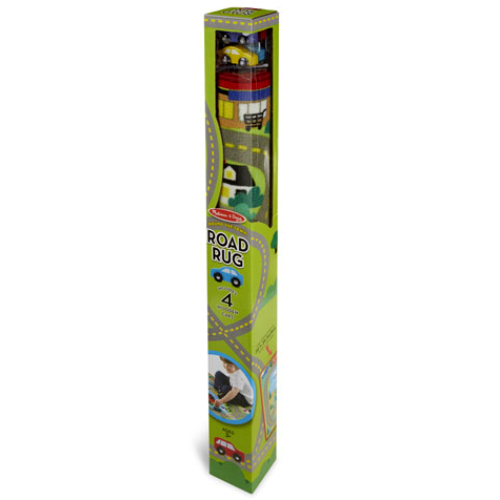 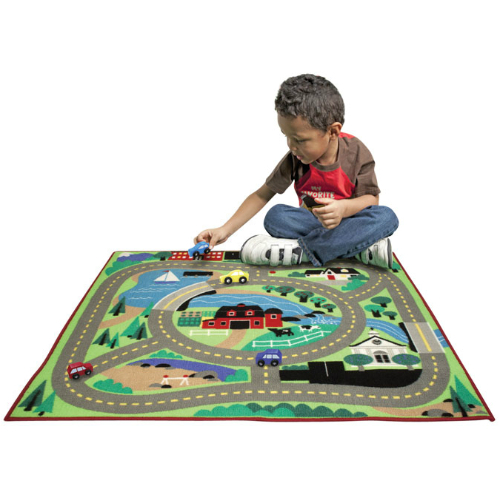 Round the Town Rug comes with 4 beautiful little wooden cars. 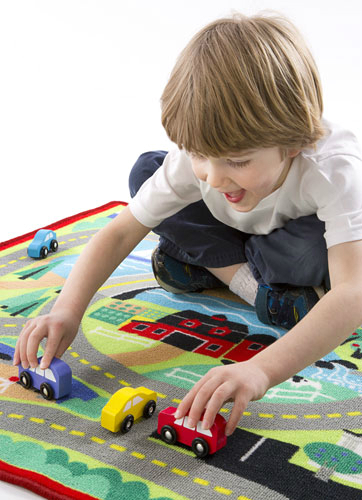 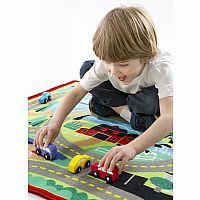 This durable 39" x 36" durable rug is ready to provide countless hours of fun. 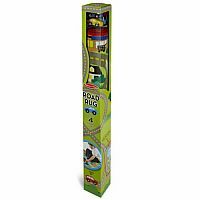 Measures approximately: 40.50 x 4.00 x 4.00 inches..